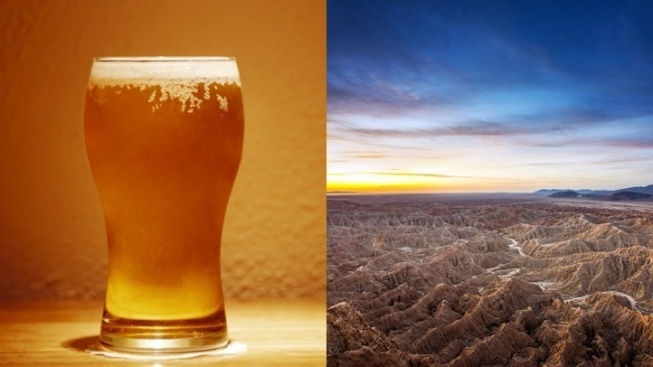 Support the Anza-Borrego Foundation while sipping some suds in Borrego Springs. Adore Anza-Borrego State Desert Park? Join a foamy fundraiser for the park's foundation on Saturday, Oct. 21. ANZA-BORREGO FOUNDATION, and it will line up the glasses "outside of Borrego Outfitters at The Mall in Borrego Springs." How it works? You'll spend fifteen bucks, dear Anza-Borrego buff, which is your purchase price for a stainless steel pint, then the Nickel Beer Co. of Julian will fill it up. Want a refill at the early-evening soiree? It's five bucks. Just find your designated driver, or a hotel near the happening, one that's walkable, and you're in the groove. Also in the groove? Borrego Days Desert Festival is happening that same weekend, which means a lot of extra merriment around town. Will you meet others who adore the Anza-Borrego like you do? Who want to talk about the bighorn sheep and Font's Point and Palm Canyon Oasis and, well, everything? The love of the desert, and its magic, does run deep.